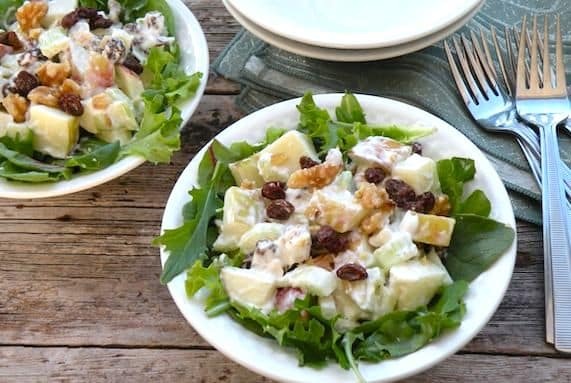 An American classic, Waldorf salad is a crunchy mixture of apples, walnuts and celery. This version is updated with vegan mayonnaise and a bed of baby greens. Combine the apples and lemon juice in a mixing bowl and toss together. Add the remaining ingredients except the greens, and toss well. Line 4 salad plates or shallow bowls with greens. Dived the salad over them and serve at once. 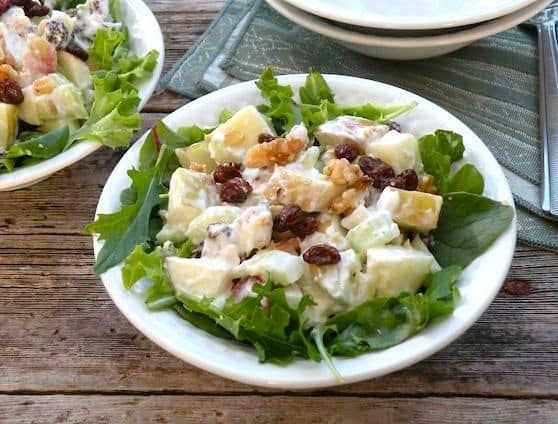 Here are more apple recipes on VegKitchen.